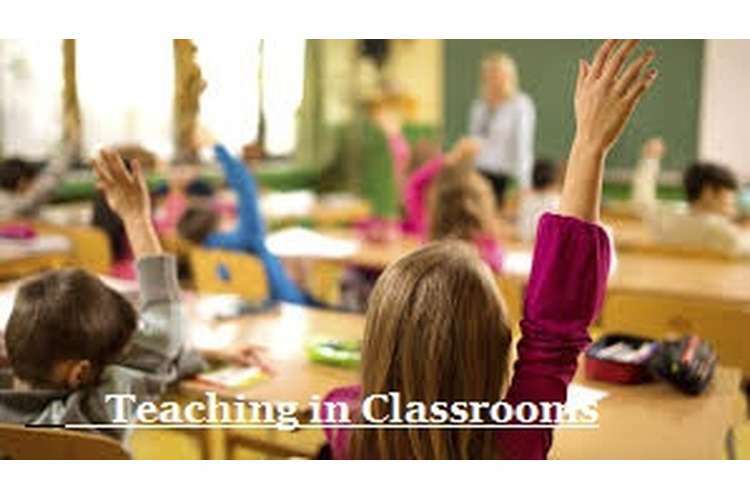 This EDN616 Teaching Assignment Sample is focused on understanding nature of the children and most important aspects attached with the teachers handling primary classes. In most of the primary classrooms, there are various students who struggle with learning aspects, and some of the students are there who perform better and effectively beyond the grade level which are expected by the teachers. There are certain students who fit somewhere in the average ratings (Chan, et. al., 2015). In this group learning there are certain individuals who develop the learning in variety of ways (Wan SWY, 2015). Hence to meet the needs of different students and their behaviour, teachers apply differentiation in the instruction of the primary children (Coubergs, et. al., 2017). 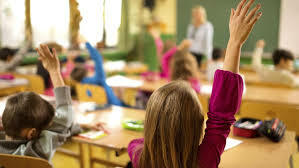 For the teachers teaching in the primary schools prefer to apply the strategies which could help the children to grow and develop, it is the responsibility of each and every teacher to provide proper information to the children so that they could grow and develop their learning skills (Menekse et al., 2013). To gather appropriate information related with the differentiated instruction, firstly it is required that appropriate and effective set of understanding could be developed with what actually differentiated instructions are (Patricia, 2016)? At the most basic level differentiation is the efforts made by the teachers to make effective set of response to the variance among the learners available in the classroom (Debbie, et. al., 2017). Differentiation is done by the teachers for the valid reason; this step is adopted so as to ensure that the each and every child coming for learning could get proper support and opportunities which could help him to grow for the better and effective future (Tomlinson, 2017). Further information related with the differentiated instructions will be researched and provided in this review and a trail will be made to ensure that the better and effective set of information could be shared in relation with the research topic selected (Inman, et. al., 2013). Purpose of the Study: Purpose of the research study is to gather appropriate information related with why teachers use differentiated instructions in case of the children in primary schools (Yuen, et. al., 2016). Why teachers of primary school use differentiated instructions in primary schools (Yuen, et. al., 2016)? Strategies developed by the teachers to provide appropriate information to the children of primary school (Ruys, et. al., 2013)? Basis on the basis of which differentiation is done by the teachers in primary school (Schleicher, 2012). Methodology: The research is developed with the help of the secondary source of data (Primary Professional Development Services, 2013). Due to limited time and limited budget researcher was not able to indulge in the primary research (Ann Whipple, 2012). Data is collected from secondary sources like, articles, journals, books available in library and for mass information and support data is gathered from the internet (Primary Professional Development Services, 2013). There is a pool of information available on internet which avails many facts and figures related with the data required for the research (Elgün-Gündüz, et. al., 2012). Various articles are studied so as to gather appropriate information related with research topic (Inman, et. al., 2013). For a researcher, it is necessary that proper set of data should be gathered from the available sources and make proper recommendations on the basis of the findings (Menekse et al., 2013). Certain graphical representation will be availed in the research to ensure that proper and effective set of information could be delivered with the help of the research report (Suprayogi, et. al., 2016). The research will avail both quantitative as well as qualitative information related with the research topic (Çayc?, 2012). Qualitative information includes facts and figures related with the aspects related with the research (Suprayogi, et. al., 2016). With the help of the qualitative data assurance will be made that the information availed in the research is appropriate and authenticated (Çayc?, 2012). To maintain the authentication of the research report it is to be assured that the data should not get copy pasted from any sources (Chan, et. al., 2015). Data used is verified and appropriate, and information availed in the research is true and will help in future researches as well as supplying proper as well as appropriate information to the users (Wan SWY, 2015). There are various researches which are studied to gather appropriate information related with the research report (Coubergs, et. al., 2017). Understanding all the aspects indulged in all the researches, certain findings are developed which will help in developing better as well as effective information related with the research (Ann Whipple, 2012). Findings and analysis will help the users to evaluate all the aspects in an effective manner (Patricia, 2016). Certain stats will be shown so that more appropriate information could be delivered to the target users and understanding could be developed why differentiated instructions are used in primary schools by the teachers (Debbie, et. al., 2017). Analysis: Evaluating the above figure it could be understood that how the teachers of primary school differentiate in the needs and requirements of the children in primary classes (Tomlinson, 2017). Bifurcation of the children is done on the basis of the percentile that they score in the primary tests (Yuen, et. al., 2016). Gap in the scoring is being analysed based on which bifurcation of the children is being done in the class (Ruys, et. al., 2013). Evaluation is done in three categories of grades like 4th grade, 8th grade and 12th grade (Schleicher, 2012). Children who score below the average are placed in the 4th grade category, children performing average performance are placed in the 8th grade category and children performing above average are placed in the 12th grade (Suprayogi, et. al., 2016). Based on the bifurcation teachers prepare appropriate plans so as to ensure that information could be delivered to the children on the basis of their needs and wants (Ann Whipple, 2012). Proper evaluations and blueprints are developed to manage the learning of the children falling in each grade (Primary Professional Development Services, 2013). Hence, with the help of the analysis method of the bifurcation of children of primary class could be evaluated with the effect of which they manage to develop the plan and strategy with the help of which effective set of information could be shared with the children falling in different categories (Elgün-Gündüz, et. al., 2012). Analysis: The above figure is showing the information related with the time spent by the teacher of primary class children (Menekse et al., 2013). Time is bifurcated based on the focus that is required to the various groups depending upon the grade scored by the children. It is necessary that appropriate time should be provided to the children of primary classroom (Inman, et. al., 2013). 57.2% of the teacher provides their 8 hours to the 4th grade children likewise time is given to the other children by the teachers (Menekse et al., 2013). To provide proper information and learning to the children, teachers evaluate their time so that they could deliver proper information to the children in need (Suprayogi, et. al., 2016). It is being analysed that children scoring less grades requires more time for learning from the children. Teachers try to provide their 100 percent to the children in need (Çayc?, 2012). Pie chart shown in the figure provides the information related with the percentage of participating teachers (Suprayogi, et. al., 2016). With the help of the survey it was analysed that 23.9 percent of the teacher thinks that it is very useful to give approximately 8 hours to the children, 31.3 percent of the people thinks that it is somewhat useful to give time to the children, 40.9 percent of the children only thinks that it is useful to give this much of time to the children in need, and 3.9 percent of the teacher thinks that it is not useful to give this much of time to the children (Chan, et. al., 2015). Per the data collected it could be evaluated that proper time should be given to the children in need (Wan SWY, 2015). To ensure that children should get proper set of learning it is necessary that teacher should give more time to the children scoring less (Coubergs, et. al., 2017). This will help the children to learn more and score well (Inman, et. al., 2013). With the help of the survey and evaluations done it could be concluded that proper focus should be delivered on the children scoring less grades (Patricia, 2016). Understanding the nature of the children is one of the most important aspects attached with the teachers handling the primary classes (Debbie, et. al., 2017). Teachers should work according to the behaviour of the children and should try to understand the learning patterns of the children and develop the plans accordingly (Tomlinson, 2017). Discussion with other teachers will also help in delivering proper information and understanding the learning patterns of the children (Yuen, et. al., 2016). It could be evaluated that more time is required for the students who scoreless as they have less interest in the studies and schooling activities (Ruys, et. al., 2013). It should be kept in mind that other children scoring well should not be left behind rather they should be provided effective information and time so that they could maintain their position in the classroom (Schleicher, 2012). There are certain implications that could be made in relation with the differentiation instruction in primary classrooms these implications are organizing extra classes for the weak children and average children (Ann Whipple, 2012). Teachers should not discriminate in the classroom in evaluating the children (Primary Professional Development Services, 2013). Perception should not be made if the child is weak and a trail should be made so that a child could get motivated and start learning the things which are provided in the classroom (Chan, et. al., 2015). Maintaining positive environment of the classroom will help in delivering the information in a better manner and increasing the learning capacity of the children in primary classrooms (Elgün-Gündüz, et. al., 2012). There is a huge scope for the future research in the field of differentiated instructions in primary classroom (Inman, et. al., 2013). Research requires a proper survey with the teachers as well as children of primary classrooms (Chan, et. al., 2015). Without primary information such type of research cannot be completed (Menekse et al., 2013). It is required that appropriate surveys should be done and evaluation of various facts and figures should be provided which could help in availing the solutions of delivering better learning environment to the children (Suprayogi, et. al., 2016). Certain questions were evaluated at the time of the research (Çayc?, 2012). Answering them will help in completing the research in an appropriate manner (Suprayogi, et. al., 2016). It is required that effective set of information should be delivered and to conclude the research proper explanation of the research questions should be given (Chan, et. al., 2015). This type of activity will help result in the completion of the research in an appropriate manner and will help in solving the purpose of the research (Wan SWY, 2015). Why teachers of primary school use differentiated instructions in primary schools? Teacher uses differentiated instructions in primary classrooms so that they could deliver proper set of information to the children (Coubergs, et. al., 2017). Teachers understand the behaviour of the children and develop the plans to deliver effective learning environment to them (Patricia, 2016). It is necessary that differentiated instructions should be provided to the children because different children have different ways of learning things in primary classroom (Primary Professional Development Services, 2013). It becomes necessary for the teachers to understand the learning patterns of the children and deliver the information accordingly (Debbie, et. al., 2017). In case the teachers do not understand the learning patterns of the children in primary classrooms than the children having effective understanding skills will understand and learn new things and grow. The children who do not have effective learning skills will not be able to grow and score much (Tomlinson, 2017). Hence, it could be said that it is to provide and deliver appropriate learning to the children who have less efficiency to learn new things differentiated instructions are provided by teachers in primary classrooms (Yuen, et. al., 2016). Strategies developed by the teachers to provide appropriate information to the children of primary school? Strategies are the most important aspects attached in delivering information to the children. In the development of the children the most important aspect is strategy development (Ruys, et. al., 2013). To develop appropriate strategies teachers should make discussion in the staff room with each other and try to gather information related with the behaviour of the children in classroom (Çayc?, 2012). Based on the discussion teachers should organize extra classes for the children having week behaviour regarding learning practices and should try to give more time to them (Schleicher, 2012). Such type of strategies help in delivering appropriate information to the children and ensuring that they could develop better as well as effective set of learning in the classroom (Ann Whipple, 2012). Another strategy that is being adopted is evaluating the subjects in which the child is weak (Primary Professional Development Services, 2013). Teachers make the discussion in the classroom that in which subject the child is weak and they provide the permission to the child to take extra classes of that subject (Elgün-Gündüz, et. al., 2012). This helps the child to develop better set of learning with that subject which ensures that he/ she could score well in all the subjects (Inman, et. al., 2013). Extracurricular activities are another way of providing motivation to the children (Menekse et al., 2013). Children feel bored of focusing on the learning materials so as to ensure that they could enjoy the learning certain extracurricular activities are organized by the teacher so that children could relax and get motivated to learn new things (Ann Whipple, 2012). Fun games are also being organized so that children could relax and feel free to learn some or the other new things in the classrooms (Chan, et. al., 2015). After 3 hours appropriate gap is being provided to the children of primary classroom so that they could refresh and develop the effective learning skills. Such type of strategies helps teachers to ensure that children could learn new things at the classroom (Suprayogi, et. al., 2016). Differentiated instructions in primary classrooms are provided on the basis of certain bases (Çayc?, 2012). Per the survey there are there bases on the basis of which differentiation is done by the teachers these are grades of the children (Suprayogi, et. al., 2016). Teacher evaluates the grades of the children and bifurcates according to the scale of scores they had prepared (Chan, et. al., 2015). Grades are bifurcated in three categories 4th grade, 8th grade and 12th grade (Wan SWY, 2015). These are the parameters based on which differentiation is done (Coubergs, et. al., 2017). Children scoring very less marks are put in the 8th grade, children scoring average marks are put in 8th grade and children scoring high marks are put in the 12th grade (Patricia, 2016). List is prepared and decisions are made of how much time should be given to the 4th grade children, how much time should be given to the 8th grade children and how much time should be given to the 12th grade children so that weak children could also perform better and could learn new things (Alt and Reingold, 2012). Doing such type of evaluation and managing the things accordingly helps in delivering better as well as effective set of information from teachers to the primary classroom children (Debbie, et. al., 2017). For teachers, it could be recommended that they should focus more upon the weak children rather than the children they like and should show unbiased behaviour to all the children (Yuen, et. al., 2016). Equal opportunities should be given to the children so that hidden talents could come and show quality they have (Tomlinson, 2017). It could also be recommended that proper learning environment should be provided to the children so that they could learn new as well as better things (Ruys, et. al., 2013). It is necessary that a happy as well as healthy environment of the classroom should be created by the teachers so that children could overcome from their fear and anxiety and could learn new as well as better things (Schleicher, 2012). Alt, D. and Reingold, R. (2012). Changes in teachers' moral role (1st ed). Rotterdam: Sense Publishers. Ann Whipple, K. (2012). DIFFERENTIATED INSTRUCTION: A SURVEY STUDY OF TEACHER UNDERSTANDING AND IMPLEMENTATION IN A SOUTHEAST MASSACHUSETTS SCHOOL DISTRICT. Journal of Educational Leadership, 1, pp.12-121. Çayc?, B. (2012). The relationship between the elementary teacher candidates teacher efficacy and their attitudes towards the profession of teaching. Education, 2(132), pp.402-418. Coubergs, C., Struyven, K., Vanthournout, G., & Engels, N. (2017). Measuring teachers’ perceptions about differentiated instruction: The DI-Quest instrument and model. Studies In Educational Evaluation, 53, 41–54. Debbie De Neve & Geert Devos (2017). The role of environmental factors in beginning teachers’ professional learning related to differentiated instruction. An International Journal Of Research, Policy And Practice, 27(4), 243-339. Elgün-Gündüz, Z., Akcan, S. and Bayyurt, Y. (2012). Isolated form-focused instruction and integrated form-focused instruction in primary school English classrooms in Turkey. Language, Culture and Curriculum, 25(2), pp.157-171. Inman, T. and Roberts, J. (2013). Differentiating Instruction in the Elementary Classroom (1st ed.). Texas: Prufrock Press Inc.
Menekse, M., Stump, G., Krause, S. and Chi, M. (2013). Differentiated Overt Learning Activities for Effective Instruction in Engineering Classrooms. Journal of Engineering Education, 3(102), pp.346-374. Patricia F. Wood. (2016). Perceptions of differentiating pedagogy for gifted readers, typically developing readers, and students with reading difficulties in multi-grade primary classrooms. Australasian Journal Of Gifted Education, 25(2), 10-63.